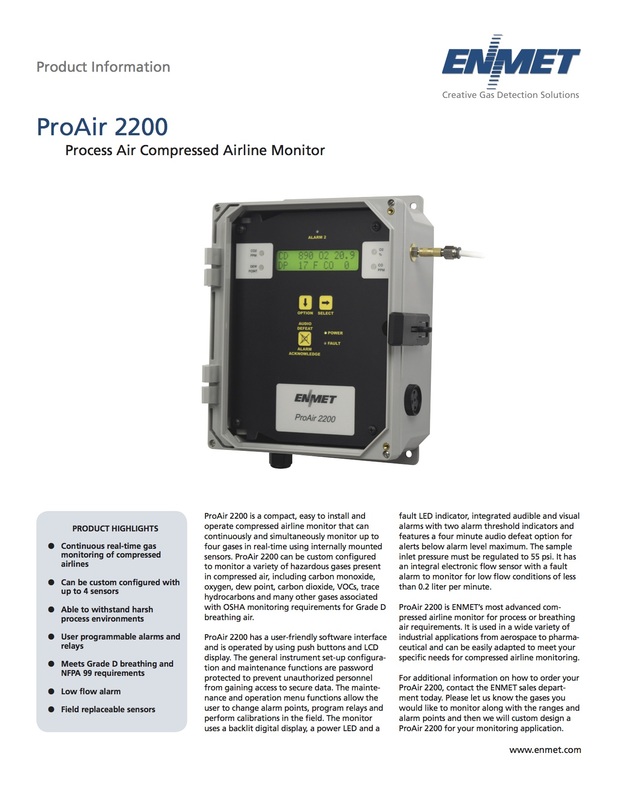 ProAir 2200 is a compact, easy to install and operate compressed airline monitor that can continuously and simultaneously monitor up to four gases in real-time using internally mounted sensors. 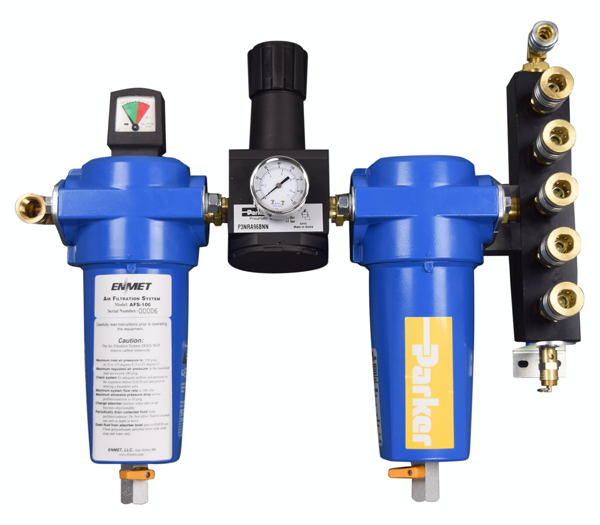 ProAir 2200 can be custom configured to monitor a variety of hazardous gases present in compressed air, including carbon monoxide, oxygen, dew point, carbon dioxide, VOCs, trace hydrocarbons and many other gases associated with OSHA monitoring requirements for Grade D breathing air. 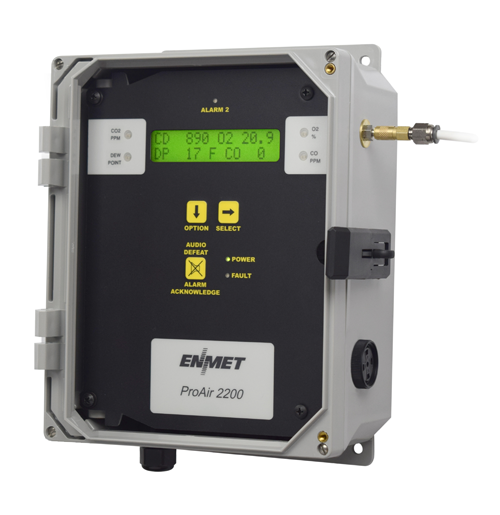 ProAir 2200 is ENMET’s most advanced compressed airline monitor for process or breathing air requirements. It is used in a wide variety of industrial applications from aerospace to pharmaceutical and can be easily adapted to meet your specific needs for compressed airline monitoring. Alarm Relays: 5 programmable gas relays plus fault. 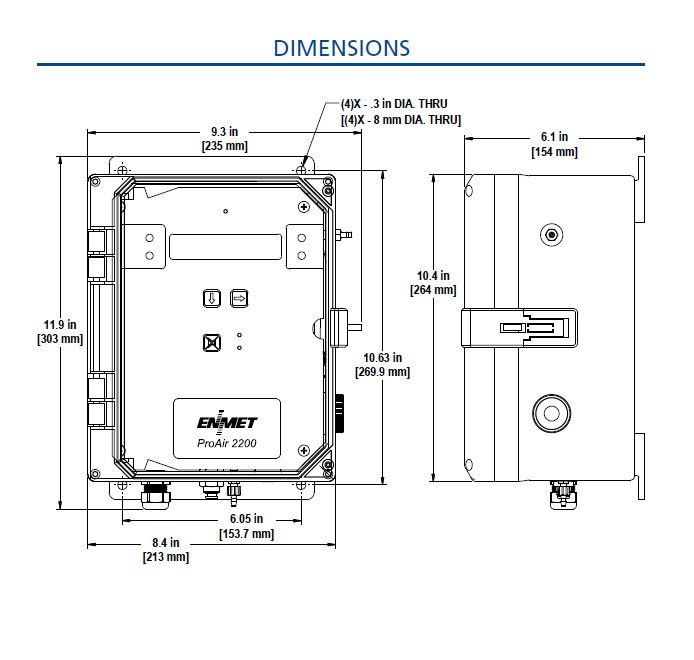 All relays are programmable latching or nonlatching, dry SPDT, 10 amps (resistive load only) at 110 VAC. 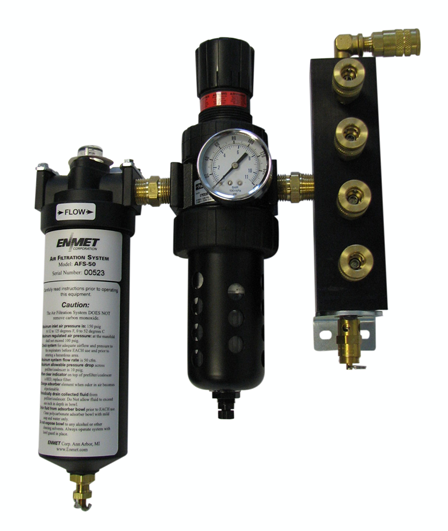 Calibration equipment for the ProAir 2200 is available for many other gases. 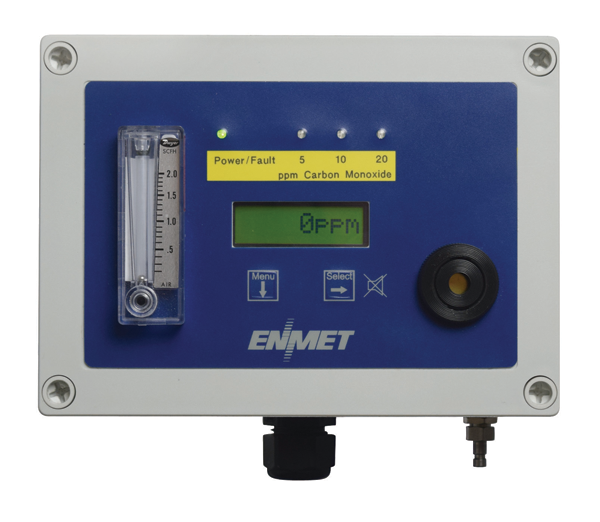 Contact ENMET for other calibration gases and regulator assemblies available for gases not listed above. Always provide the Model Number and Serial Number of your instrument when inquiring about calibration equipment. 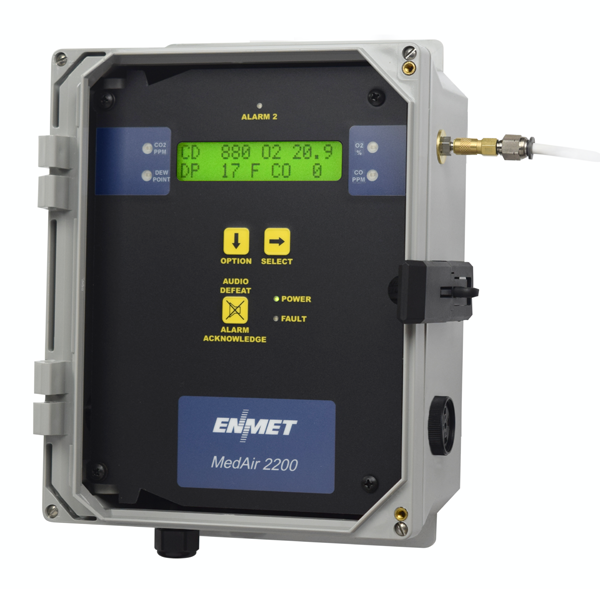 Please contact the ENMET sales department for help designing a ProAir 2200 to meet your gas detection requirements. 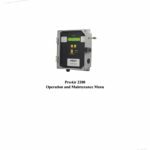 To find calibration equipment for the ProAir 2200, please refer to the Accessories tab above.